It seems like there is always some new aspect of my brewing process to focus on. Most recently it's been getting control of the pH of the wort. I thought I'd walk you through my standard process, and give you a few reasons why you might consider doing something similar. There are plenty of more in depth science-heavy reads out there, but I wanted to do something a bit more accessible. A day or two before brewing, I use the EZ Water Calculator to make a game plan. I like this free spreadsheet because rather than take into account the SRM (color) of the beer, it uses your recipe, which more accurately predicts the mash pH. The spreadsheet allows me to determine how I'll treat my water. I usually aim for the low end of the pH range for pale beers, 5.3-5.4 when measured at room temperature, a bit higher for anything roasty. In the case of this hoppy pale ale (and those like it), I prefer to use a combination of methods to lower the mash pH. To halve the ~80 PPM of pH raising carbonate in my filtered DC tap water, I dilute with an equal volume of distilled water. That way I'm not forced to add an excessive amount of salts or acid (either of which can harm the flavor of the beer) to lower the pH into the ideal range. Depending on your water profile, you might need no dilution at all, or an even higher percentage. I know that some people like to think of the balance between sulfate and chloride as a ratio, but that isn't entirely accurate. Having 10 PPM sulfate and 5 PPM chloride won't have the same flavor impact as 500 PPM sulfate and 250 PPM chloride. Sulfate enhances the perception of bitterness, while chloride boosts body and the perception of sweetness. Normally I'd add gypsum for sulfate, but I was out, so I added Epsom salt in addition to the calcium chloride. While I'm heating up the mash water I'll weigh out the salts on a scale with a .1 gram resolution. Only half of the total calculated amount goes into the strike water, I save the rest for the sparge water. I usually leave out the acidulated malt from the grist initially. I'd rather take a pH reading and add the "right" amount if it turns out to be too high, rather than risk having to deal with a pH that falls too low. Municipal water profiles shifts throughout the year, so even a perfect calculator wouldn't always be accurate if it relied on a yearly average profile. After mashing in, I allow it to sit for between five and ten minutes to allow the various chemical reactions that impact pH to occur (mostly calcium and magnesium reacting with phosphates from the malt lowering the pH). At that point I pull a sample, cool it in a clean/dry ramekin to around room temperature, and measure its pH with my just-calibrated meter (Hanna Instruments HI 98107). When this one dies I'll probably get one with a .01 resolution to get a bit more precision. pH strips aren't very accurate and tend to go bad quickly if not stored with a desiccant, but they are an option. If the reading does not fall within my targeted range, I jump into action. If the pH is too high, this usually means adding acid malt (~1% of the grist for every intended .1 drop). I'd add additional salts only if I want more minerals and would have added them to the boil anyway. If the pH is too low I add chalk (which should ideally be dissolved in carbonated water first) or baking soda (which can be added directly to the mash). Having a mash pH in the correct range helps the enzymes responsible for the conversion of starches into sugars, and also gets helps the pH to fall into place further down the line. With the mash resting, I start heating the sparge water. Adding the reserved minerals, and enough phosphoric acid to lower the pH to under 6.0. Having a lower pH sparge is good insurance to prevent tannin extraction. This is especially important with a fly sparge, and even more so if you aren't monitoring the gravity of the runnings. Even if you batch sparge (like I usually do), acidifying the sparge will help you hit the ideal boil pH. Having a boil pH around 5.1 enhances hot break formation (which helps produce a clearer beer) and creates a smoother hop bitterness. I know some brewers are more fanatical about this, but I tend to pull a single sample early in the boil, measure it and add acid if warranted. I'm too lazy to track it any more once I start adding hops. If the pH is kept in line on brew day, and a healthy fermentation ensues, the finished beer’s pH should be in the ideal range (low 4s - flat, room temperature) by the time you are ready to keg or bottle. For a pale beer, having a suitably low pH gives it a crisp and refreshing balance. A low pH also improves the resistance of the beer to unwanted spoilage microbes. For darker beers I find that a slightly higher pH gives a more rounded mellow flavor, canceling out some of the sharper acrid charcoal flavors, shifting the roast perception to smoother coca and coffee flavors. All of this gets easier as you go, learning what treatment works for your water and the types of beer you tend to brew. You can always experiment adding small amounts of acid to a glass of the finished beer to judge for yourself how it changes the perception. This batch is pretty representative of where my head is at these days on hoppy beers. Not too strong or bitter, but with loads of saturated hop flavor and a big fresh nose. It was my first time fermenting with East Coast Yeast's North East Ale (apparently their isolate of Conan). Luckily early tastes are much better than my attempt to isolate the strain! Also a reminder, if you use a plate chiller, recirculate hot water and PBW after flushing with water. I generated two gallons of this greenish water while cleaning up after this batch. 0.63 oz. Columbus (Pellet, 11.9%AA) @ 60 min. 2.5 ml HopShot (Extract) @ 60 min. 2.01 oz. Mosaic (Pellet 0.00% AA) @ 0 min. 1.75 oz. Simcoe (Whole 0.00% AA) @ 0 min. 10/15/13 Made a 1.25 L stir-plate starter for the month old yeast vial. Mash water filtered DC tap cut with 50% distilled. Added 3 g of Epsom Salt and 3 g of CaCl. Same deal for the sparge water. Acidified batch sparge water with 2 tsp of phosphoric acid. Collected 7.5 gallons of 1.044 runnings. Bitter with 1/2 a HopShot, plus the Columbus. 0 min hops were allowed to hop-stand for 30 minutes.Couldn't get good flow through the HopRocket, so after the first gallon or so, so I dumped the hops back into the kettle along with the trapped wort, and went directly to the plate chilled. Got it down to 70 F.
45 seconds of pure O2, and pitched the whole starter. Left at 64 F to ferment. Increased to 68 F after three days. 10/20/13 Dry hopped in primary with .75 oz Simcoe, and 5/8 oz each of Citra and Mosaic (2012 harvest). Fermentation appears mostly complete. 11/3/13 Racked to a flushed keg with the same amount of dry hops again (2013 harvest). Only got down to 1.017 (71% AA - 5.4% ABV), but it tastes much drier. After calibrating my hydrometer, it turns out it actually finished at 1.015 (74% AA - 5.6% ABV), which makes a bit more sense. 11/21/13 Tasting Notes. Amazing peach character thanks to the combination of yeast and hop aromatics. Despite the lackluster attenuation, doesn't come off sweet. Is there any concern when adding acid malt to your grist with possibly altering a sought OG or SRM? If so, would it be beneficial to use regular acid to adjust down? I've been reading a lot of Gordon Strong's thoughts concerning brewing water. What do you think of his primary use of RO water with minimal additions of minerals? He equates it to adding too much salt to your food and then only tasting salt. Have you tested his technique of adding dark malts only to sparge to keep PH under control? You can start getting off-flavors from acid malt after about 3%. So at worst that would be increasing a 1.050 beer to a 1.0515. That is about half the amount of gravity added by priming. Acid malt is very pale, so no color issues either. You could certainly add refined acid (lactic or phosphoric) directly to the mash, it just takes a bit more calculation. All things being equal, I like to use tap water when I can. My goal with this recipe is to rebrew it a few times, use it to dial in my process, see what is really worth the effort. Late additions of dark malts help with mash pH (assuming you are using water suited to a pale beer), but that doesn't solve pH issues later in the process. Clearly it's hard to argue with the results Gordon has achieved in competition, so I certainly wouldn't discount it. I need to go back and re-read that section of Brewing Better Beer. great timing! I'm brewing this weekend, and I will for the first time test my newly aquired pH-meter, which looks a lot like yours. The sauer malt you add, is that solely to lower the pH, or is it also for flavor considerations? If the former, do you just decide to add it after your measurement, or have you calculated that in advance? Oh, and as you measure in room temperature, how do you correct for higher mash temperature? I calculate the amount in advance to make sure it isn't calling for a really high percentage of acid malt, but I wait to add it until I take an actual mash pH reading. Really just for acidity in this case, although I've used more for flavor in beers with Brett. (According to Kai) If you go over 3-4% acid malt you may start to actually taste the acid malt in the finished beer. You can measure at mash temperature, but you'd need to subtract ~.2-.3 from the reading to compare it to what you'd expect at room temperature. However, dipping your pH meter into the mash directly will shorten the usable life of the probe. 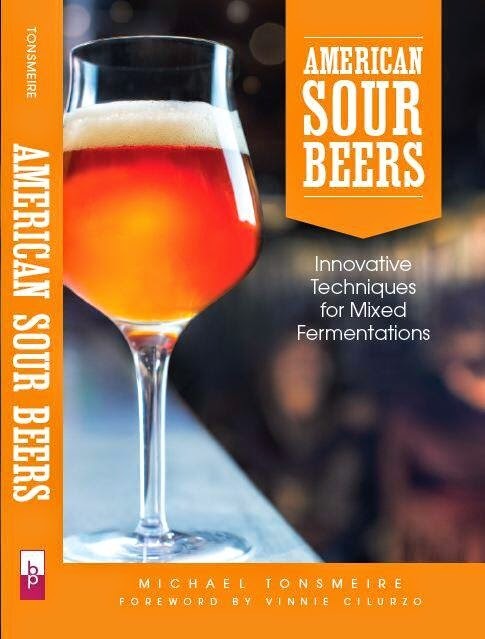 Great post, I'm reading John Palmer and Colin Kaminski's book on water right now and while I like the science, I feel like I get more out of reading what other brewers like you and Gordon Strong actually do in their brewing process. Thanks! Don't worry about the mash temp pH, just do all your measurements at room temp. You'll kill your probe at mash temp and it makes no sense to measure at room temp and apply an adjustment of ~-2. or .3. You are losing all your precision by doing that and might as well just use the paper strips. Is the effect of the Chloride/Sulfate ratio tied to chemical reactions in the Mash or is it simply a flavour booster? For example, would adding 5 grams of Calcium Chloride in the mash result in the same flavour as adding 3 grams of calcium cholride in the mash and the other 2 grams in the sparge water - keeping all other variables constant. If these two cases are equivalent it would be interesting to make a biter malty beer - such as a alt - twice changing only the calcium chloride addition to the sparge water between the two batches. This would keep all variables other than the Chloride/Sulfate ratio the same, including the mash pH. The chloride/sulfate could even be added to the beer in the glass if you wanted to. Their impact in on the flavor directly, not on the chemical reactions of brewing or fermenting. The calcium will have an effect on the mash/sparge though. What do you use for a hop back? I've been curious about these things. Is it a homemade unit or did you use a commercial one? It's a Blichmann HopRocket. Here's a post with lots more details on how I use it. This post and my last frustrating experience with pH strips have prompted me to bite the bullet and buy a pH meter. I see from the photo that you have a large bottle of buffer solution. How long will you keep one of those bottles before replacing it? The meter/probe manufacturers discourage the long term storage of buffer solutions once opened because of the risk of evaporation, but it seems fishy to me, both from the standpoint of physics and because they conveniently sell the buffer solution. My other alternative at this point is a box of 25 single use sachets of buffer at about $1 per pouch. $2 per batch of beer is a small cost, especially if it has a significant impact on quality, but the engineer in me is skeptical. I actually just got new bottles of buffer solution in the mail yesterday. You aren't supposed to re-use the buffers, so you go through it pretty quickly if you calibrate everytime you brew. I just use it until it runs out. Just a guess, but that greenish water is because of copper oxide. In computer cooling, you'll occasionally see such a thing from radiators, usually because a person didn't bleed out the fluid lines. When I run cleaner/sanitizer through the system before brewing I never get that type of color pick-up. I just used a pH meter yesterday (my first time) on an Imperial Stout yesterday and nailed my mash pH target w/o having to do any mineral additions, which I almost couldn't believe. However, I did not acidify the sparge water. 1) Is that something you do w/ all beers or just pale beers? 2) You added 2 tsps. phosphoric. Did you land on that amount through trial & error? 3) Would acidifying sparge water have a negative impact on a dark beer wherein the mash is full of acidic crystal/roasted grains? It's the rate that usually works for my water. I tend to only acidify the sparge for delicate pale beers with a fly sparge. Shouldn't be an issue if you did it for other beers, Gordon Strong reports in Brewing Better Beer, that Sierra Nevada acidifies all their water to 5.5. A beer at pH 4.5 is ten times more acidic than wort at 5.5, so a bit of acid pre-boil isn't that big a deal post-fermentation where most beers are low 4s. Based off of this, what do you think Conan would do in an Old Ale? Seems like you could get a lot of the fruitiness one expects from a lightly bretted Old Ale with minimal effort here. It's a very different flavor than you'd get from Brett, closer to what a clean English strain would produce I think. Hard to say without trying it, let me know how it goes! Can you tell me what Phosphoric Acid you use? I guess it's an ad for the company... but all I'm finding are non-food grade acids and acids that claim to be food safe, but are not qualified by the FDA. This all worries me too much, but my beers are all way off with respect to pH, so I wanted to get more involved in water treatment. Thanks for the article. As others have mentioned, you have a knack for making this stuff accessible. How are you liking this particular ph meter? Are you still using it? Thinking of getting one but don't know which. My old pH meter recently died, so I bought a Milwaukee MW102 PH, but haven't had a chance to try it out yet. My old Hanna Instruments was a bit cheaper, but with .1 precision compared to the new one at .01 I wanted something a bit more accurate. I'm curious as to what your tap water PH is? I mostly brew pale beers and my tap water ph is about 7.7, with a total alkalinity of 65. Do you think 2tsp would be too much phosphoric acid for my sparge water? The pH of the water itself isn't particularly relevant (DC's target is 7.4), the minerals and their buffering capacity are much more important. That's because the pH scale is logarithmic, the difference between 7.4 and 7.7 is small compared to the difference between 6.0 and 6.3. I'd suggest downloading Bru'n Water or one of the other great water spreadsheets. Although, I'd advise against an aggressive water treatment regimen without a pH meter. Most sources are too variable to trust a calculator without checking. I'm brewing this one up this weekend. Question: What kind of Wheat malt was used for this recipe? White Wheat, Wheat (torrified), Flaked Wheat, Belgian Wheat Malt, German Wheat Malt? I'm better now about recording specific maltster information. However, it really doesn't matter that much at 9% of the grain bill. Flaked wheat and torrefied aren't malts, but they would work fine as well! Any of them will add some extra protein for head retention and body. For wheat malt I usually default to Weyermann or Rahr. Thanks! Also...what type of hopshot did you use for this recipe? Was going to use Cascade because thats all my local homebrew store has. If thats no good would you just up the columbus 60min. addition to say, 1oz or so? I used "generic" hopshots. For bittering, I doubt the variety matters that much assuming the same alpha acid. I had some bad luck with hopshots, and have gone back to actual hops for bittering. I rarely push the IBUs, so it isn't as crucial as it was for beers like the Pliny the Younger clones. Hey Mike, with hopping like this without a hop back, where would you move these hops to? Brew day dry hop or just a huge flame out? I have had success with dry hopping on brew day. If you read the notes, the hop-back clogged and I ended up dumping the hops back into the kettle at the end of the hop-stand anyway. I used to do more multi-stage whirlpool additions, but I never found that it added anything distinct. No perfect replacement for a hop-back, but I found it really wasn't adding enough character to justify the effort. I have a question regarding PH of the sparge water and when to measure/treat. Obviously i could heat all my sparge water (which i do on my HERMS) and lower PH with Lactic Acid at sparge temp... But wouldnt the correct way be to treat the water at room temp (20C)? I dont know if im imagining this but PH in the water seem to slowly rise again if its sits for to long. is that possible?? I haven't remeasured the pH of the sparge water after adjusting. Simply heating the water will change the pH, but the values typically presented are at room temperature. I tend to add acid right before using, but the acid isn't denatured or anything by sitting hot. Without knowing it I brewed almost this exact same recipe after making a Citra and Mosaic APA for a friends BBQ (I always use Columbus for bittering but don't count it in the hops). It came out freaking amazing, I am still using dry yeast, BRY97 for that one but was still amazing. Saw this recipe so I have just brewed it again this time like yours I have added some Simcoe to the mix. Tastings from the fermentor are good, I am loving the pine flavours that Simcoe are bringing to the table, this time I had to use Mangrove Jacks M44 yeast as my brew shop had no BRY97 left, I am pretty impressed with it so far. Anyways keep up the good work, love reading your blog! Cheers! I need to try some of their dry strains, have been using S-04 recently on its own and in blends for hazy IPAs.